Vibrational Sound Healing: Up Lift Your Body, Mind and Spirit. Jill Mattson is an author, artist, musician and widely recognized expert and composer in the emerging field of Sound Healing. She has written four books and produced eight CD’s that combine intricate Sound Healing techniques with her original Award winning musical compositions (Best CD of 2015 – People’s Choice Angel & Masters; Deep Wave Beauty CD – Best New Age CD – Silver Award). The CD’s consist of intriguing, magical tracks using ancient & modern techniques – with sound energy & special healing frequencies to achieve profound benefits. 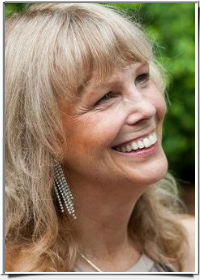 Jill lectures throughout the United States on “Ancient Sounds ~ Modern Healing”. She draws on her extensive research of modern Sound Healing, and over 30 year study of ancient civilizations and secret societies in her music, lectures, workshops and writings. Use sound to shift Personality Habits – without using your Will Power! Learn How You Can Use Ancient Sounds for Modern Healing Now!! To check for possible local numbers in your area click here or on “Other #s” in the box above.